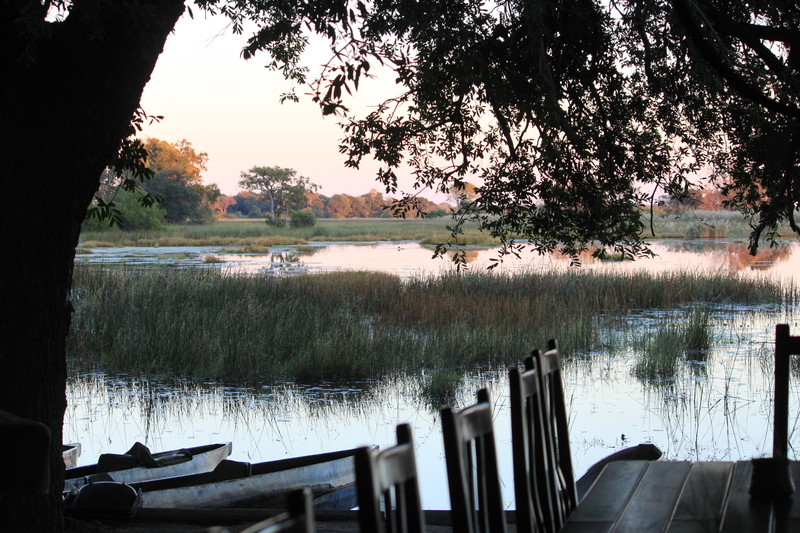 During our stay in the Okavango Delta, we would sit at this table every morning for breakfast before heading out on a game drive. I loved the soft colors this time of day. This entry was posted in Travel Photos and tagged 50 Year Project, Africa, Botswana, Breakfast, Game Drives, Life, Morning Light, Nature, Okavango Delta, Photography, Sunrise, Travel, Travel Blog, Travel Journal, Travel Photo. Bookmark the permalink. I’m more of tea drinker and it was good, especially on a chilly morning. It gets so cold at night. I can’t even remember how many layers of clothes I wore to bed. I would love to go back to Africa…so many aspects of it are simply amazing and you can’t find them anywhere else. I always enjoy your little story on your photo. That’s a great scenery to start the day. It was…but the blue sky was just as stunning. Very calm and tranquil and peaceful. I can imagine the sounds accompanying you! Yes…the hippos scared me at night. I kept picturing one charging through my tent. It would be a nice start to every day. Extremely. If you ever feel like going, send me in your place so you don’t have to suffer. A great view to start the day! Fabulous!